Conservatives want the stationing of the National Guard on the Mexican border to be merely a temporary measure that should be followed by legislation for a permanent solution, according to a poll by FedUp PAC. Rep. Robert Goodlatte (R-VA), the Chairman of the House Judiciary Committee has introduced the Securing America’s Future Act, with 95 cosponsors. 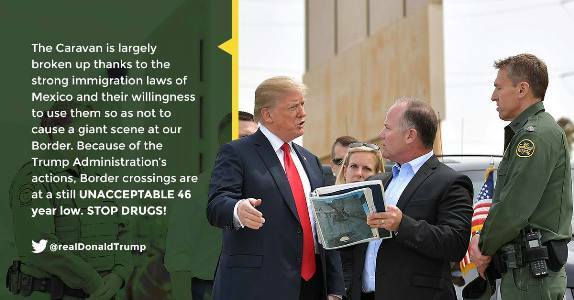 The bill would tighten border security, increase deportations of illegal aliens, and make it more difficult for illegal aliens to take jobs from Americans. House Speaker Paul Ryan has ignored conservative requests that the bill be brought to the House floor for a vote. Congress recently passed a spending bill for the rest of fiscal year 2018 that prohibits any expenditure to build the wall that was one of President Trump’s campaign pledges. Speaker Ryan and Senate Majority Leader Mitch McConnell pushed hard for passage of the bill.